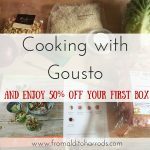 The idea behind the Goutso Recipe Box it is that every week you pick out three recipes to try out, and Gousto will send you organic ingredients in exact portions with easy to follow recipe cards. Every week there are 10 different recipes to choose from, including vegetarian options, and you can choose to feed 2 or 4 people (currently these are the only options). 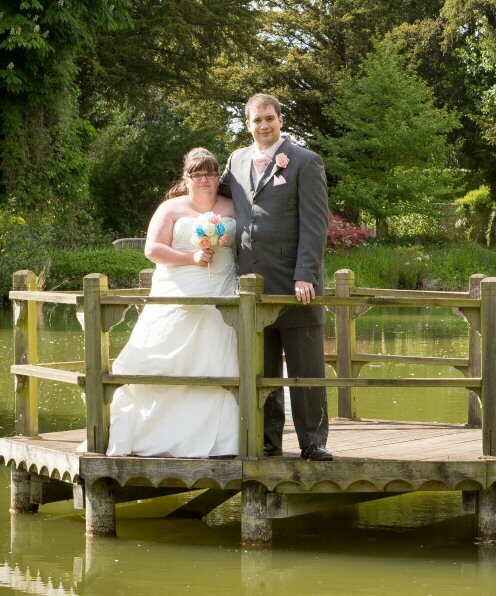 The prices vary depending on how many people you want to cater for. The quality of the ingredients was fantastic – it was great to have organic produce delivered direct to my door. The ingredients were also just the right amount, saving me from wasting anything that wouldn't get used up. I was disappointed that the use by date on some of the items were a mere 3 days after delivery, so I ended up freezing what I could to use at a later date. Cooking my first meal was definitely a learning curve. I enjoy cooking, but I'm not one to follow recipes. The first meal I attempted was mustard chicken with lentils. The recipe card was extremely handy, with photographs for each step. My meal, of course, looked nothing like the photograph, but it tasted amazing! The other two meals were similarly easy to follow, and again, tasted great. 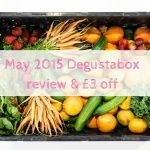 The cost of the box for one week for the two of us, at £34.99 is very close to our total weekly grocery budget, so I don't think the Gousto box offers great value for money. However, using the code SAVE50 during checkout gives you 50% off your first delivery. 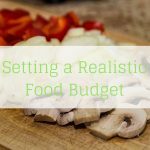 It is definitely great for those of you who have busy lives but still want to cook delicious tasting meals in a short time frame. 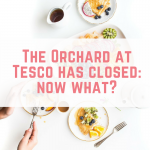 I have placed my account on hold with Gousto, and I'll be using them again for times when we are extremely busy, or as a special treat. This isn't a weekly option for us. If you want to cancel your box or stop deliveries, doing so is simple. You don't even need to interact with a human – just log in and place your account on hold. You can also completely cancel your account by clicking on “Cancel Account” on your account. As long as you do this before noon on a Sunday, your cancellation will apply. Personally, I use Riverford organic delivery. 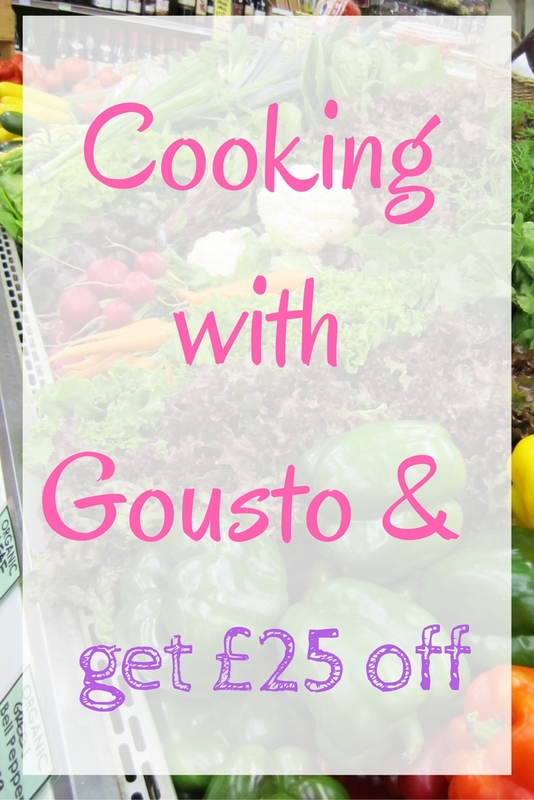 It’s about £32 per week for meat and veg for 2-3 people. We cook every day though so you get a lot more for your money. They also send you at least 4 recipes per week and a quarterly recipe booklet that highlights which veg are in season. 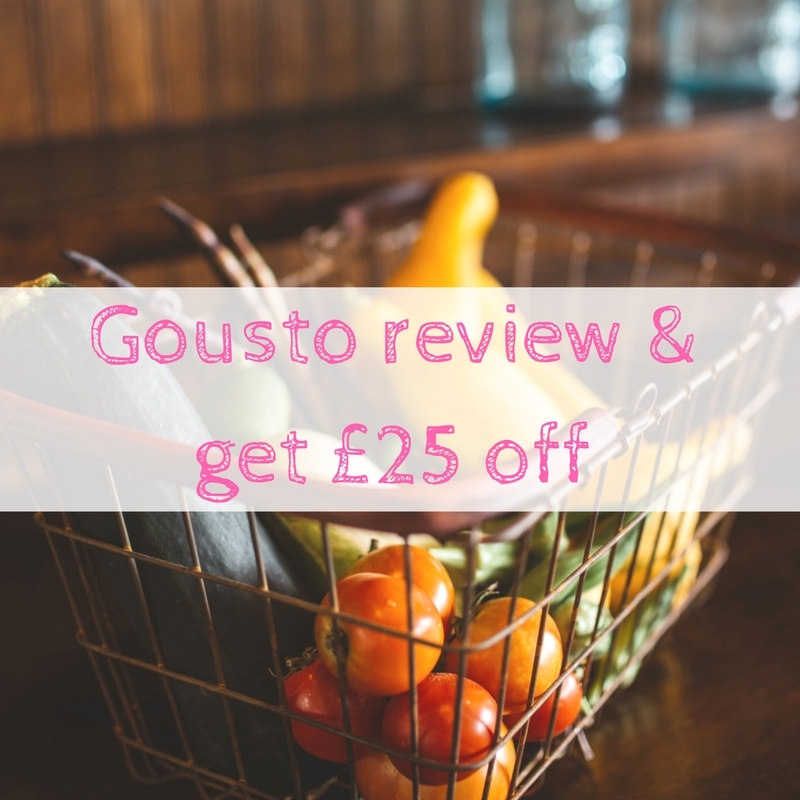 I am sure gousto are excellent quality, but unless it were always being discounted, there’s just no way I could justify spending that kind of money on that amount of food. As you say, it’s clearly for those who are pressed for time and want to eat top quality healthy meals. The code doesn’t work as described. It gives a £20 discount not £25. It will cost you £9.99 for 2 meals for 2 people not 3 meals for 2 as described. 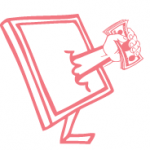 This post was published two months ago and correct at the time of posting. Thanks for letting me know about the change.